We love partnering with other local purveyors of fine food and drink. Read on to find out more about how we work together with our partners, whether it's collaborating to create new and delicious things, or procuring best-in-class goodies from experts in their respective fields. We're big fans of what our friends are doing and truly believe that together, we can achieve more. Our collaboration with Toronto's favourite Thai restaurant has allowed us to explore and experiment with new flavours, textures, and techniques. Months of testing (and lots of delicious tastings) resulted in an exclusive line of gelato available at sister restaurants Khao San Road and Nana, and at Millie locations. Our Thai-inspired flavours include Thai Tea, Pandan, and Coconut. Most recently, we've joined Khao San Road in their new Assembly Chef’s Hall location, Little Khao, producing a custom line of Thai popcorn available exclusively in their new stand. We also occasionally pop-up at amazing events with our friends at Khao San Road with fun, limited-time only desserts. "We believe in tradition, heritage, and the power of the human touch. We strive to create not only the highest quality product possible, but an experience that is genuine and true to the timeless practice of jam making, while imparting our own contemporary spin on this artisanal inheritance." All of Kitten and the Bear's artisanal preserves are made completely by hand in small batches, right here in Toronto. We're excited to be able to partner with other artisans who value quality as highly as we do. 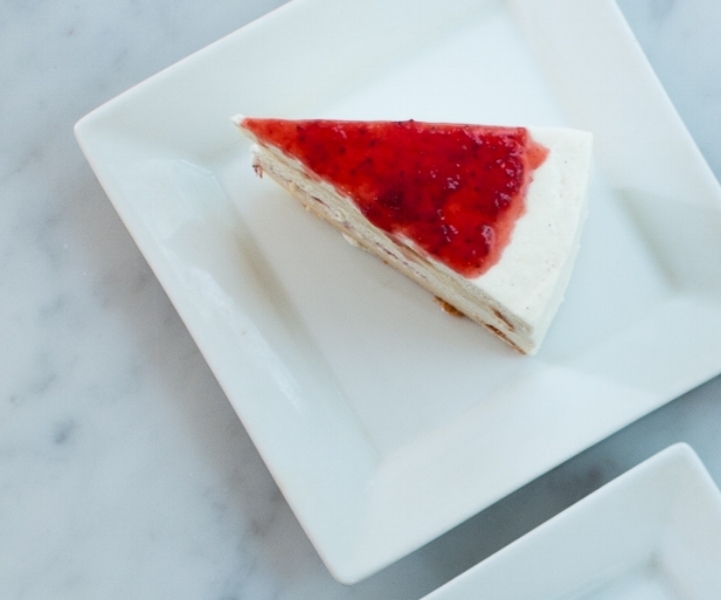 Their wonderful preserves pair well with our delicate cakes - as demonstrated in our Strawberry Shortie Souffle Cheesecake, which features their strawberry jam. In addition to incorporating their preserves in one of our Signature cakes, we are also delighted to be able to offer a selection of their preserves for purchase at select Millie locations. We've partnered with Sansotei Ramen to create a series of desserts available exclusively at their restaurants and select Millie locations. 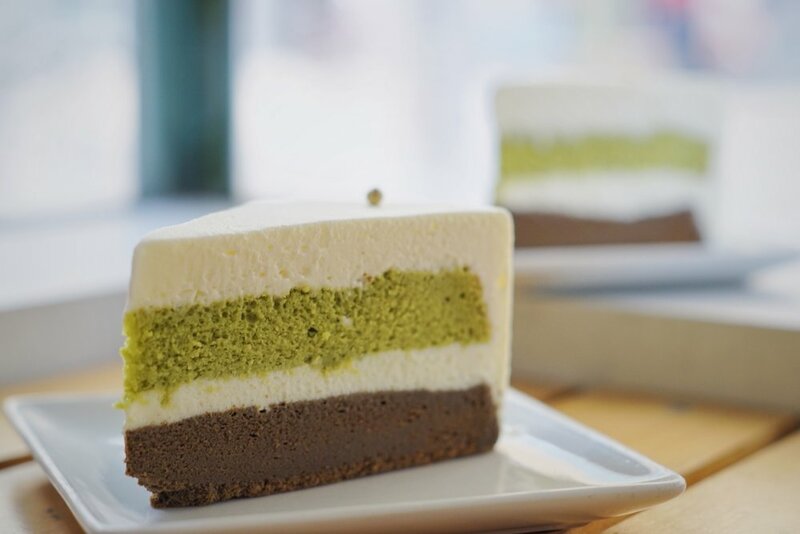 Our collaboration has seen limited-time only creations that range from the Yuzu Tea Cheesecake - a hojicha & matcha soufflé cheesecake with a yuzu citrus fresh cream - to specialty mille crepe cake flavours. We're honoured to be collaborating with a restaurant that shares our passion for achieving perfection - or coming as close to it as possible. It's no surprise that Sansotei is consistently rated as the City's best Ramen. Stay tuned for more exciting, seasonal dessert offerings we have in the works! “Each Sloane Tea is individually sourced. Chosen from hundreds of tea gardens, Sloane Teas are carefully processed using centuries old artisanal techniques. Our scented and blended teas are custom created by our own team of Certified Tea Sommeliers and culinary experts." There's nothing better than the perfect cup of tea to go with the perfect dessert. We are delighted to serve Sloane Teas at Millie, and can't wait for you to indulge in the experience! We're also excited to have a collection of Tea Caddies and gifts available for purchase at our locations.